The scientists and all other personnel of both Isro and DRDO deserve the entire nation’s hearty congratulations! Anti-satellite weapon systems have a long history and were a product of the Cold War hostilities between the United States and the then Soviet Union during President Ronald Reagan’s administration in the 1980s, which led to the so-called “Star Wars” programme. After the launch of A-SAT, and say within a 100-200 meter vicinity of the satellite, the missile seeker will guide the missile (Seekers could be infra red (IR), radio frequency (RF) active or passive, laser/optical seekers). 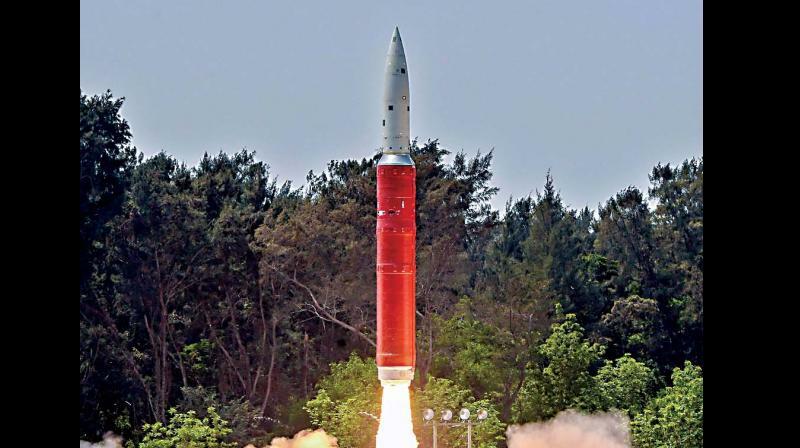 India’s A-SAT employed an IR seeker. The whole process is like seeking a coin and targeting it in a heap of hay under dynamic conditions, in a very limited period of time. The role of the seeker is very critical as it helps to home in on the target and hits it without delay of even a nano second. There are subdued reactions to the Wednesday’s A-SAT test by various countries given the present geopolitical situation. However, in future, if an international treaty on such activities is signed, India will be treated at par with the United States, Russia and China. This activity was conducted only to demonstrate the capability and preparedness of the country for any kind of warfare in space. It is not a routine activity, and no administration would like to load its infrastructure for such tests.